Nutrex Research Outlift is a pre-workout product that claims to improve your performance by giving you a significant boost of energy, strength and endurance. Basically, there’s diversity in these supplements. More often than not, the formulations of these products differ from another. So, no two supplements are similar. There are always distinctions since there are multiple ways to enhance your overall functions. But what do these products usually have in common? Typically, pre-workout solutions contain stimulants, such as caffeine. Such stimulants significantly increase your energy levels and alertness to help you perform better. With the variety of pre-workout supplements available out there, it’s pretty much usual to come across supplement stacks produced by different manufacturers. This is exactly the case of the supplement under review here, the Nutrex Research Outlift. Based on the information available, the product mixes numerous components that function as pre, intra, and post-workouts. This implies that Nutrex Research Outlift is particularly developed to go along with the rest of other Nutrex Research supplements. It is also worth mentioning that Outlift involves components that you cannot typically find in pre-training product. Hence, whether it works effectively as an independent supplement or not is yet to be discovered. If you’re using pre-training products, you need to be certain that you’re reading and understanding a product’s profile before selecting what you take alongside it. Basically, pre-workout products usually contain great amounts of caffeine. This stimulant is also usually used in fat-torching supplements such as metabolic enhancers and thermogenesis-inducing supplements. Thus, remember that your caffeine consumption must not be above the recommended dosage, which is 400 mg or 4 cups of coffee daily. Consuming over the safe dosage can result to side effects. People who are sensitive to stimulants may even experience jitters and anxiousness even with consumption of only 300 mg. These supplements are usually taken by those individuals who are looking to boost their energy levels, alertness, motivation, and overall performance when working out. For some, drinking coffee is sufficient to increase their energy, but those want to bring their training to the next level would need more than just coffee. Thus, they turn to pre-workout products such as Outlift. The effectiveness of any supplements, of course, depends on the ingredients. Based on the info we’ve gathered, Outlift has a blend of nitric oxide enhancers, stimulants, and amino acids. 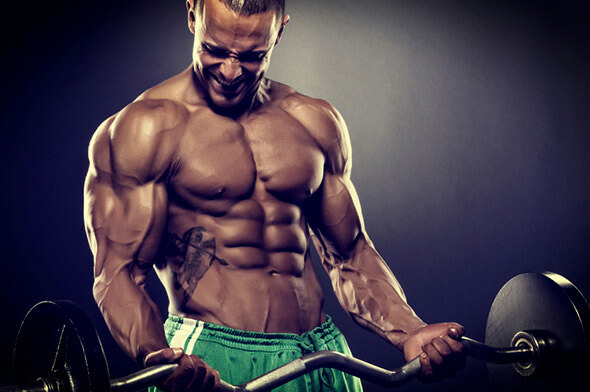 Its main component for increasing nitric oxide is Citrulline Malate 2:1. This only means that the ratio of citrulline to malate is 2:1. Also, Citrulline Malate resembles its more well-known ingredient, L-Citrulline, a precursor for L-Arginine. 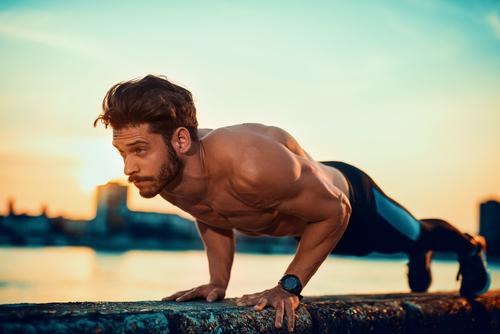 The 2:1 ratio of Citrulline Malate is presently undergoing research to identify its real role and effectiveness as a component that can augment stamina during training. Furthermore, Outlift has other ingredients like the amino acids Beta Alanine and BCAAs. The former, which is also called Carnosyn, is a non-essential amino acid that contributes greatly in decreasing the exhaustion of muscles. It also increases carnosine levels in the muscles, stopping the muscle pH from plummeting. The latter, on the other hand, are the types of amino acids that are delivered to the muscles to avoid muscle catabolism, particularly during and after high-intensity workouts. Plus, Outlift also has slight creatine to help stop muscle exhaustion. It also provides a bit of muscle pumps when exercising. Outlift has 3 grams of pure Creatine Monohydrate, which is only a gram short of what your body requires daily to experience its benefits. Alongside these components are Bioperine, N-Acetyl-L-Tyrosine, Taurine, and Caffeine Anhydrous. Outlift’s caffeine dosage in its formulation is 350 mg. The dosage is considered high, especially if you consume caffeine from other food and drink sources. This can lead to caffeine crash, partnered with a stinging effect on the extremities caused by the combination of Beta Alanine and Caffeine. We were able to find customer reviews online discussing Outlift’s effectiveness and most report its efficiency in terms of giving you a significant energy boost. However, some also complain about its side effects such as jitters, hypertension, stinging sensations, and other physical manifestations brought by stimulants. Is Outlift the Real Deal? Outlift is essentially loaded with necessary components. It has ingredients for increasing energy; it has BCAAs, Creatine, as well as stimulants for further energy and mental alertness. It contains all these ingredients in only a price of one supplement. This is a good deal considering Outlift is priced just over a dollar in every serving. 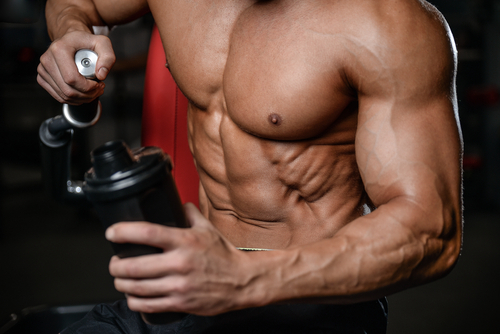 On the other hand, the BCAA and Creatine in Outlift aren’t sufficient, so you will need to take other supplements from the company to reach the suggested dosage.